If you are listing your unit on multiple platforms (or channels as some may call them), then you have likely run into an issue of syncing your calendar. One of the worst things that can happen as a host is to accidentally double book two guests for the same stay! A double booking means that one of the guests who booked is going to be very unhappy! But, you can prevent this. Luckily, most platforms provide a way to automatically sync calendars, if you know how to set it up. The key is setting it up correctly in the beginning, before getting bookings. Airbnb, VRBO, homeaway, flipkey.com, booking.com and most others allow you to both Import and Export an Ical link. This is important because you need both import and export links if you are going to keep everything synced up and running smoothly. How do I sync an Airbnb Calendar to my own wordpress site? This is where things get a bit tricky. Syncing between Airbnb and homeaway, vrbo etc is pretty easy as we showed you above. But syncing between your own calendar on your wordpress site with Airbnb and others can be a lot more challenging. Now there is a plugin that can syncing between ANY Platform and your own website super easy! Vacation Rental Calendar Sync is a free WordPress tool that provides a calendar, Stipe / Paypal payment gateway (in the pro versions), and Airbnb calendar syncing, VRBO / Homeaway calendar syncing platform all in one tool. Check out VR Calendar Sync here! 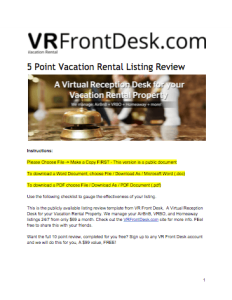 It is a responsive plugin meaning that it automatically resizes for any device (ipad, phone, laptop etc) and it really makes running your own vacation rental site a lot easier! I really like this plugin because it makes the job of running your own vacation rental site super easy, and getting some bookings on your own away from some of the big players can definitely help you out in the long run. So if you are looking to diversify, show your latest calendar on your website, and maybe even start taking some bookings, then this is a great tool that can help you. Will VR Calendar Sync send my website bookings back to Airbnb or VRBO? Yes, the VR Calendar Sync Plugin Pro or Enterprise version has a 2 way sync feature, which will sync all bookings you get on your own website automatically back to Airbnb, VRBO, etc. This way, you can accept reservations on your own website, and they will instantly get blocked off on any other platform to prevent double bookings and reduce your workload significantly. Click here to get VR Calendar Sync now! Does this work for Vacation Home Rentals, also? Yes, it does! It can work for most any type of rental! I do not see how to “Export” my VR calendar to VRBO and Airbnb? Yes you can export your VR Calendar to sync with Airbnb if you purchase the VR Calendar Sync plugin. Just go to your dashboard, and click on “edit”, then copy the link at the top (it is an ical / ics link for your merged VR and Airbnb Calendar). Paste that into your Airbnb account under the calendar import and now you have a fully synced WordPress Vacation Rental Calendar with your Airbnb! Dear Aaron, It’s clear for me how to export wordpress calendar to airbnb calendar, so that If a guest books a room on my site, the booking calendar on airbnb will be automatically updated. But It’s not clear for me how to do the contrary, I mean how to export airbnb calendar to my wordpress calendar so that if a guest books a room on airbnb, my wordpress calendar will be automatically updated. Is it possible just if my site supports ical application? Hi Cristian! Yes this is totally possibly! If you use the VR Calendar Sync plugin to sync Airbnb to your website – http://www.vrcalendarsync.com/ – then yes whenever you get a booking on your website, it will automatically update your Airbnb calendar instantly! Can I embed this calendar into a standard HTML site? Does the script maintain two way synchronizing with both AirBnB and VRBO. Will your apps also pull the guest email contact info for those confirmed booking? Yes Tripadvisor – Flipkey works with this as well! Does it integrate with Booking.com? Yes any service that has ics / ical import and export functionality it will work! 1) Would it work if my website is made with Weebly? 2) Would it also sync with the booking.com reservations? This online version will work with any service, wordpress or otherwise. Just create an account and copy and paste the shortcode where you want the calendar to go! And yes it should work with Booking.com or any other service that supports ical / ics import and export. I am having trouble trying to view my calendar on this site. I got the link- uploaded it and when I click the icon for the calendar nothing shows up. Can you advise? I can never get my VRBO bookings to show up on other calendars. Had the problem with FlipKey, now with Airbnb. Their bookings show up on the VRBO calendar but not the other way around. Is this subterfuge on the part of VRBO? I have asked Bookabach and Holiday Houses who are 2 others that I use as a platform to advertise through and they say they can only allow one calendar to be linked not multiple. I suspect they are only import only and not export of details and bookings. Does your system get around all this. 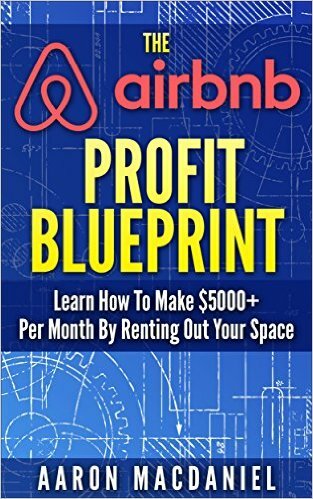 Hi Aaron, I use AirBnB, VBRO and BookaBach, will your tool link all those sites? For Airbnb, 100% this plugin will link those sites and your website to ensure they are all in sync. I haven’t used bookaBach, but do they have an iCal / ics calendar import and export function? If so, it will work for that too! Do you still support this? Haven’t seen anything here in awhile? Thanks. Yes, we do! A new release is coming soon! If you need any help with it just let us know.